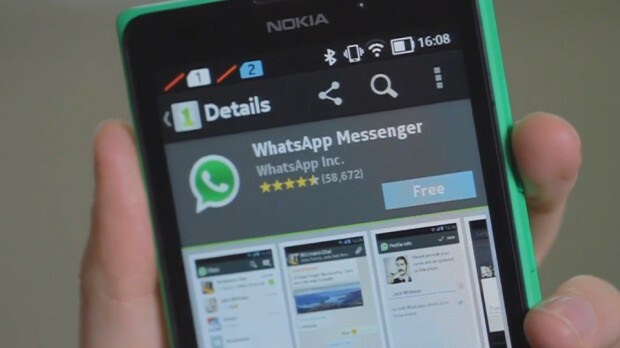 How to download and install Whatsapp on Nokia X, XL and X+ without root. Download & install whatsapp for Nokia X, X+ and XL without root: Some times back Nokia announced three smartphones that can run on android oprating system. After the announcement most of us believe that Nokia is also switching from windows to android but its not true. After the launch we came to know that ther interface is somewhat similar to android and also users can install most of the apps available in google play in Nokia’s latest smartphones via third party stores or Nokia store. After some time many people complain that many apps are incompatible or not running in these smartphones. So here I am going to share how to download and install whatsapp messanger for Nokia x, xl and x+. Here I will give you two different methods to install whatsapp on Nokia X, XL and X+ without root and you can follow any of them. Common problem faced by many when they try to launch whatsapp is an error message which was like “Sorry, your device is not supporoted”. This message is very common, specially in Nokia xl. So, instead of going for NOKIA store to download whatsapp on Nokia X, XL and X+ I am giving you some best possible alternatives so that you can run whatsapp on Nokia X, Xl and X+ without rooting your phone. Tutorial to download & install whatsapp for Nokia X, Xl and X+. Read both the methods very carefully and adopt which one suits you the best. MUST READ: HOW TO RUN PLAYSTATION GAMES IN YOUR ANDROID PHONE. Method 1: to download & install whatsapp for Nokia X, XL and X+ with apk file. Search for whatsapp apk file on internet. Else you can download it directly from link given below. 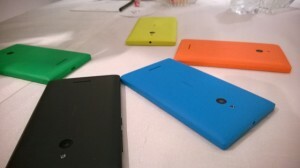 Download whatsapp apk file for Nokia X, X+ and XL from here. Once you have downloaded the apk file, click on the apk file and install it. If you have downloaded whatsapp apk file to your computer then transfer that file to your Nokia X, XL or X+ and install by clicking on it. Note: Some time you cannot directly install apk file as installating files from unknown sources is blocked. You can unblock it by clicking on Settings > Unknown Sources and press OK. This will allow you to install files from unknown sources. HOW TO INSTALL APK FILE DIRECTLY FROM GOOGLE PLAY STORE. Once you have downloaded apk file further procedure remains same. This method involves installing whatsapp from a third party store. Best part about your Nokia X, XL and X+ is that apart from Nokia store and play store they support number of third party app stores. So these are also a good alternatives to install whatsapp. 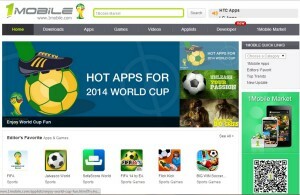 You need to install 1mobile market app to your Nokia X, XL and X+. Once you have installed the 1mobile market app launched the app in your Nokia smartphone. In 1mobile market app search for whatsapp. You will get many links click on the first link (usually most realiable). It is possible that installation from unknown sources in your smartphone is blocked. So you can unblock it by Settings > Unknown Sources and press OK. This will allow you to install files from unknown sources. Now you can easily install whatsapp on your phone. Once installation is complete run the app. Hope it will run smoothly. Confirm your mobile number and start enjoying. Hope you all will like the post on how to download & install whatsapp on Nokia X, XL and X+ without root. Well both of the methods are unique and you can try any of these to get whatsapp installed. Do comment your experiences and problems we will try to sort it out. Read how to install whastapp plus messenger latest version in Nokia X series smartphones. Warning: Downloading apk files fro unknown sources could damage your system or can cause risk to your device security. So you are requested to download whatsapp apk file to your Nokia x, xl and x+ from trusted sources. Next articleTop 5 best radio FM apps for non FM android phones.